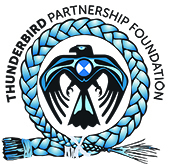 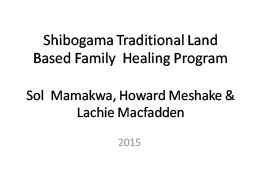 The Thunderbird Partnership Foundation is pleased to share the following resources to support communities interested in developing their own land-based healing programs. 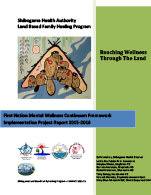 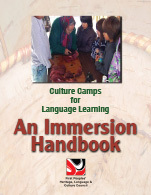 The materials shared here stem from the creation of a First Nations Service Delivery Model developed by a working group composed of the First Nations Mental Wellness Continuum Framework Implementation Team, their colleagues and First Nations communities. 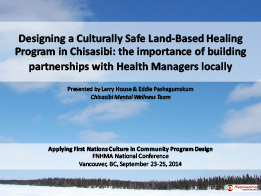 The infographic poster, Wellness on the Land, was developed to showcase the Service Delivery Model at the Issues of Substance Conference, hosted by the Canadian Centre on Substance Abuse and Addiction, in Calgary, in November 2017. 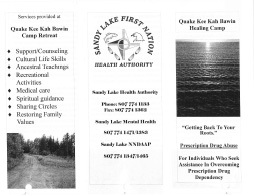 Be sure to visit this webpage often, as additional resources will be added as they become available.